Meet Edward. He rubs himself in Ian the rabbit’s wee wees. I slept on this stage Duckeye played last night and awoke to Ian giving me kizzles as Edward pounced over me to chase him. 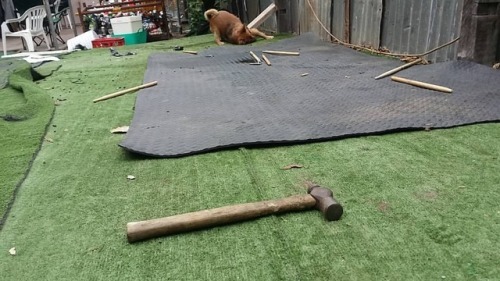 When I rolled up my camping mattress, I found I slept like a log on that hammer.